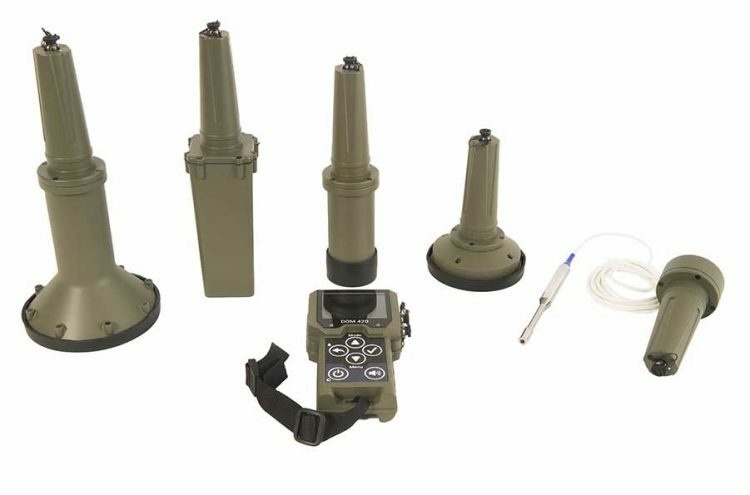 The SaphyRAD MS is a multiprobe survey meter with gamma dose rate measurement and contamination detection functions designed for military operations. The SaphyRAD MS is a multiprobe survey meter designed for operation on military fields or by hazmat teams. Its monitor has been specifically conceived for use with CBRN protective clothing. 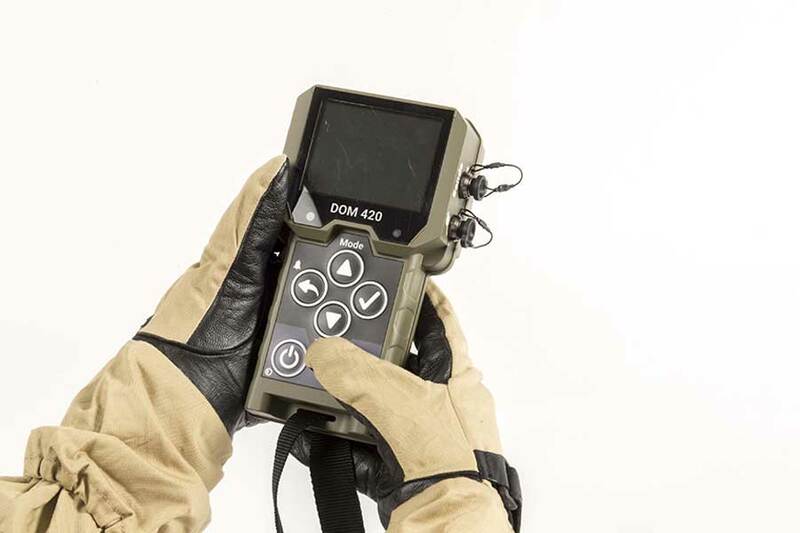 Its ruggedized housing and its ergonomic interface with a wide and bright LCD display makes it ideal for day and night operations in harsh environmental conditions, even by non-radiation specialists. 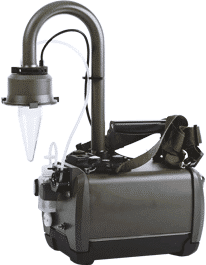 Very versatile, the SaphyRAD MS can be used for radiation exposure monitoring (dose and dose rate), as well as for radiation contamination detection. Its comprehensive range of probes allow the user to detect and measure alpha, beta, gamma and X-Ray radiations. The SaphyRAD MS also includes an embedded simulation tool for training without radioactive sources. Bertin has developed the new multiprobe military survey meter under a contract awarded by the French Defense Procurement Agency. This latest generation portable monitor is designed to detect and measure radioactivity in harsh environment. 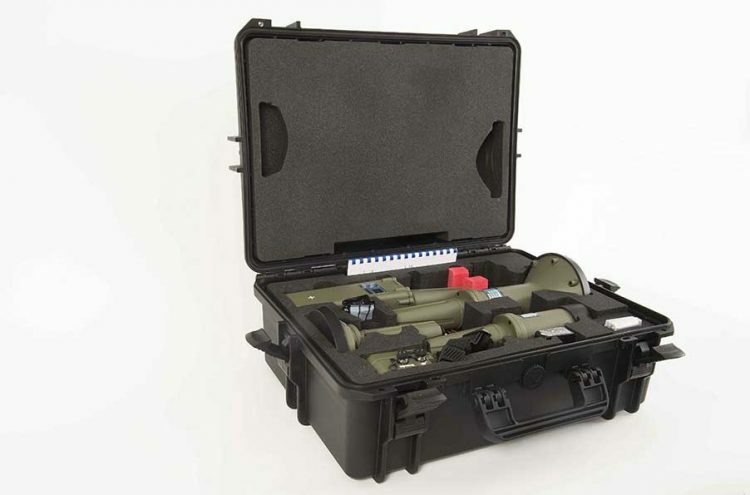 Its wide range of innovative probes covers the needs of all Army corps and emergency teams, including HAZMAT. The robust design of the SaphyRAD MS has been specially thought out for use with CBRN protection equipment. Its ergonomic interface allows fast use even by non-specialists to measure radioactivity. 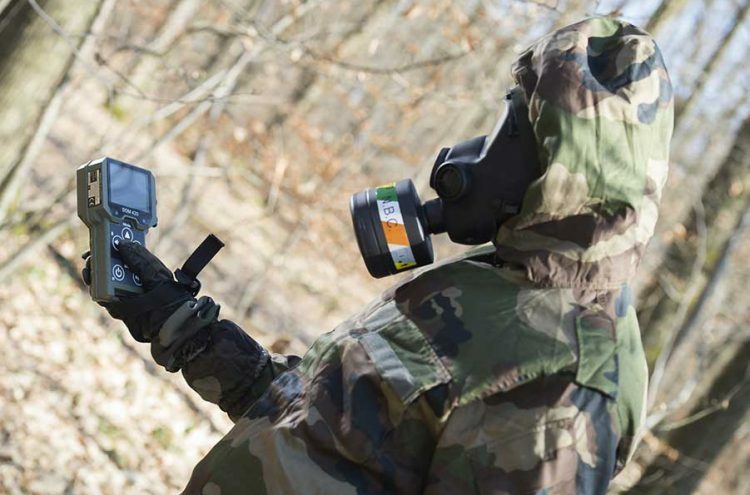 With the development of this new military radiation meter, Bertin has improved its existing CBRN threat detection and identification range, providing complete systems to the Armed Forces and civil security agencies (rapid response teams, public health and emergency services). The SaphyRAD MS has a very robust housing specifically designed for military, hazmat or first responders operations and use with CRBN clothing. Its monitor includes dose rate and dose functions. With the additional probes, it can also detect and identify radiation contamination. The SaphyRAD MS has an ergonomic interface with six large buttons, and a bright LCD color display designed for day and night operations. The device also includes a convenient simulation kit for gamma dose rate measurement or contamination detection training without using a radioactive source. 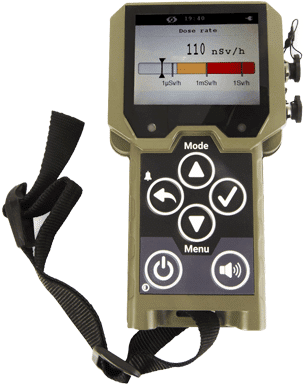 The SaphyRAD MS system was designed to meet all requirements of military troops or hazmat teams regarding robustness, ergonomics and ease of use: it offers an IP65 housing, a GPS module and a wide 3,5” LCD color display with automatic backlight level. The monitor includes two embedded gamma dose rate detectors used for dose and dose rate monitoring in harsh environments, and its range of external probes detect and measure alpha, beta, gamma and X-ray radiations. All data are stored on a removable SD card, for more convenience when performing a post-operation analysis. Flexible, the SaphyRAD MS’ power supply accepts several types of batteries (four standard AA/LR06 lithium, alkaline or NiMh rechargeable mignons) for an autonomy ranging from 18h to 34h. It also includes a convenient simulation kit for training, in order to perform gamma dose rate measurement or contamination detection without a radioactive source. The early warning systems offered by Saphymo, the nuclear instrumentation line from Bertin Instruments, are designed for stationary as well as for mobile operation. They are used to deliver protective measures. Saphymo, the nuclear instrumentation range from Bertin Instruments, offers radiological measurement systems used in the military sector for protecting soldiers and the population as well as for site surveying. When faced with CBRN menaces, including radiological threats, first responders need to ensure their protection and that of the population at all times. 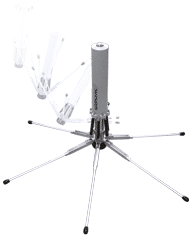 GammaTRACER SPIDER, a gamma probe designed for emergency response and enabling a fast deployment in the critical area with minimum human intervention. Data is transmitted via proprietary UHF radio or satellite. MiniTRACE Gamma is a dose rate meter designed to improve the safety of workers in control areas of nuclear power plants, reprocessing facilities, research centers and hospitals. SaphyRAD is a multiprobe handheld device used for the detection of alpha & beta radioactive contaminations.